And that is exactly how the designers intend for it to be. 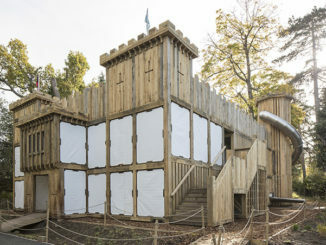 The project is a landscape for childish exploration. It shuns function and standard, in favor of liberation. 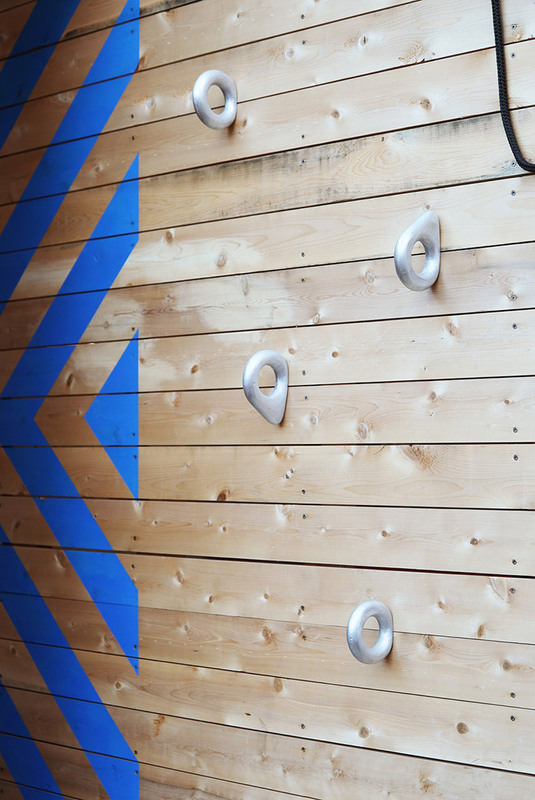 The structure cultivates a child’s—and adults—imagination through play. It encourages inventiveness through its unfolding, discoverable spaces. The playscape is tailored to child size, but still accessible to adults. It prioritizes the child user, in order to both liberate and educate. It invites the older user to reminisce, and rediscover. The structure is a space for collective imagining and celebrating of all ages. 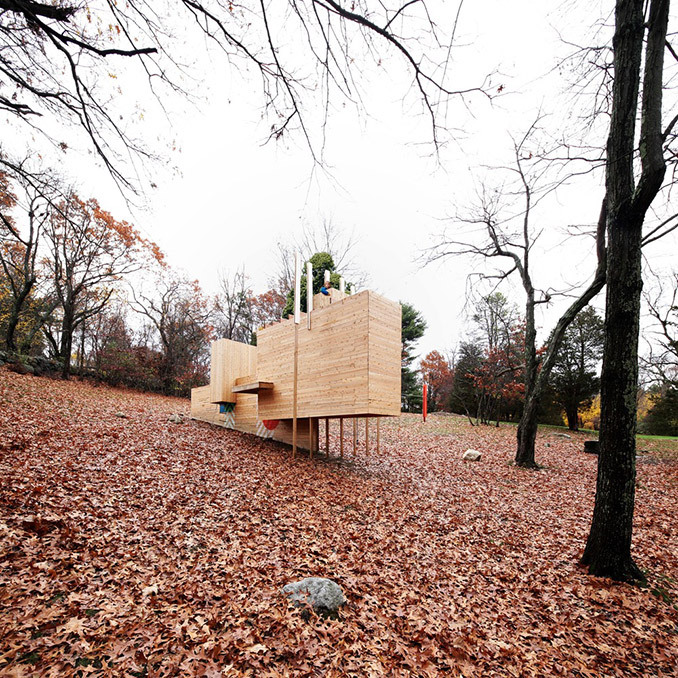 Five Fields Play Structure is positioned on land that is rich in civic history. The Five Fields neighborhood was designed and developed by the Architects Collaborative (TAC) in the early 1950s. TAC sought to foster community through creating shared, common land. Since its inception, the community has cared and respected the land as a whole. This land was conceived of as an experiment over sixty years ago. TAC’s experiment was a success—the upkeep and care of the common land unifies the community to this day. The designers intended to keep the spirit of communal innovation alive. Five Fields Play Structureis in this sense a monument to collective experimentation. It commends the exploratory spirit of the child, as nurtured by a whole community. As they say, it takes a village. It also takes a village to truly imagine, to truly play. The thing is, the act of play is inherently indeterminate. Play cannot be reined in by a specific set of verbs. Play is liberation, but also irresolution. So how does one design for ambiguity, but also childish experimentation? 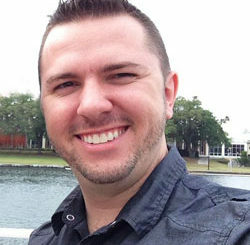 The structure was created with the hope to release users from specified, directive use. The expectation is that all users will inscribe their individual, creative means of expression through the space. 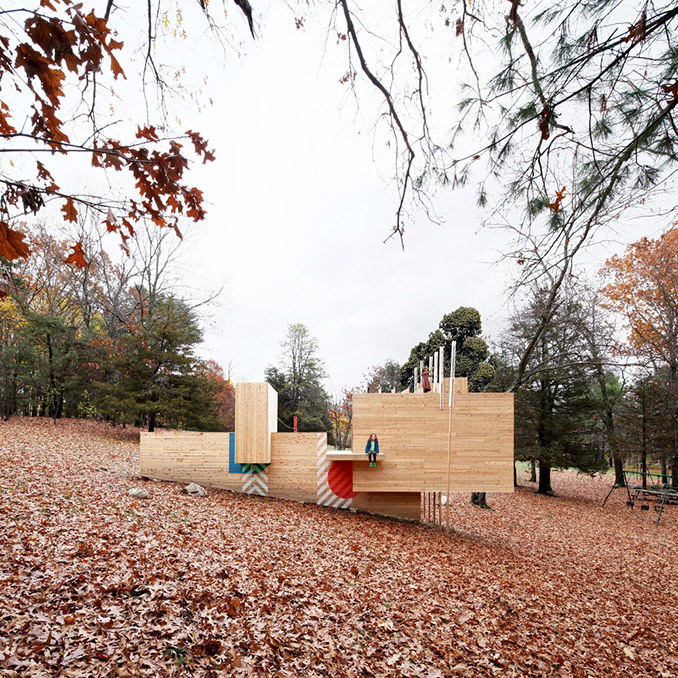 The play structure harnesses the imagination and liberates the body within its wooden volumes. 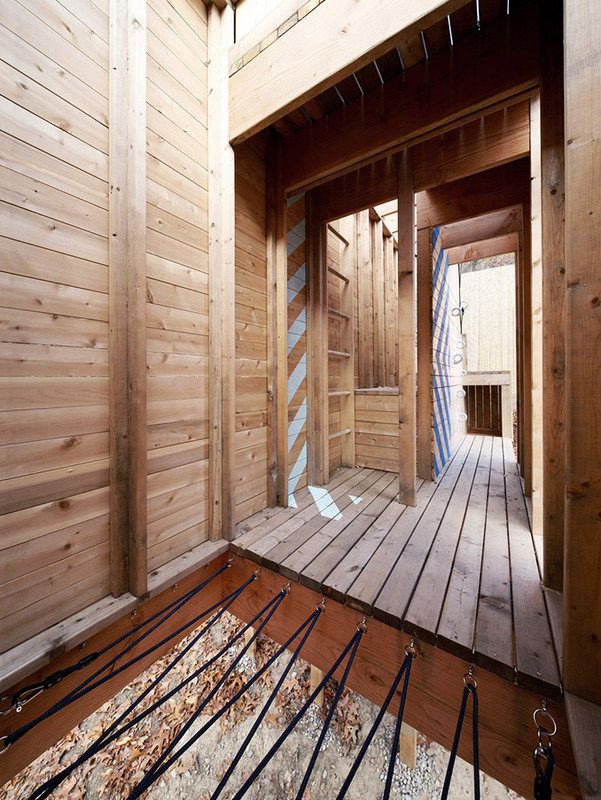 Which brings us to the materiality, the sensorial aspects, of this playscape. A diverse body of elements engage the senses and augment each user’s experience. Just as each child learns differently in school, so this playscape offers diverse but equal means of engagement. Visual, auditory, and kinesthetic elements create distinct moments of use. 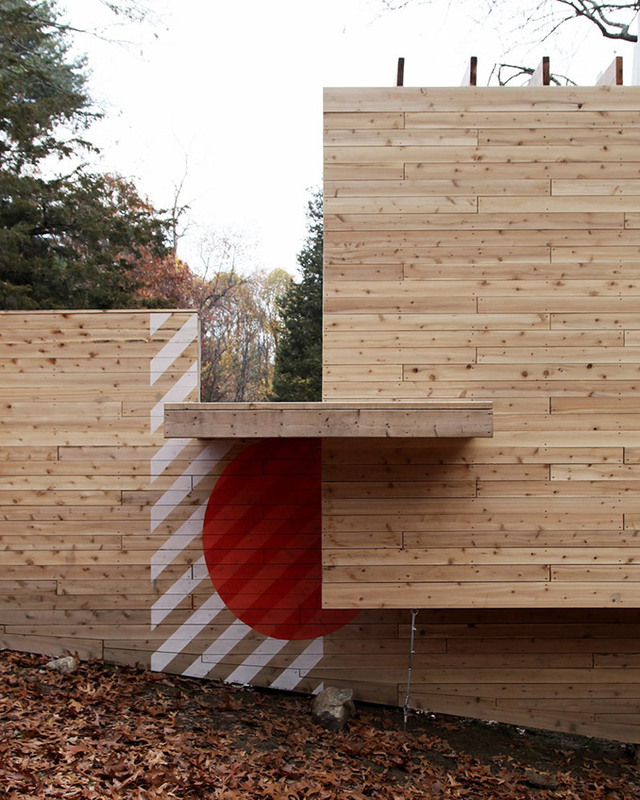 The playscape is an unfolding of views, movements, and spaces. Levitating volumes overlap at certain points to create hidden thresholds. Smaller children crawl, while larger ones climb, as a varied means of reaching discoverable spaces. Colorful graphics suggest entries and moments of use, without being overtly prescriptive. Elements like doors and stairs exist, but not as expected. The intent was to render architecture as childish. Movement through the playscape culminates in dead ends. But to the child, they are vistas of discovery that look out onto the landscape. 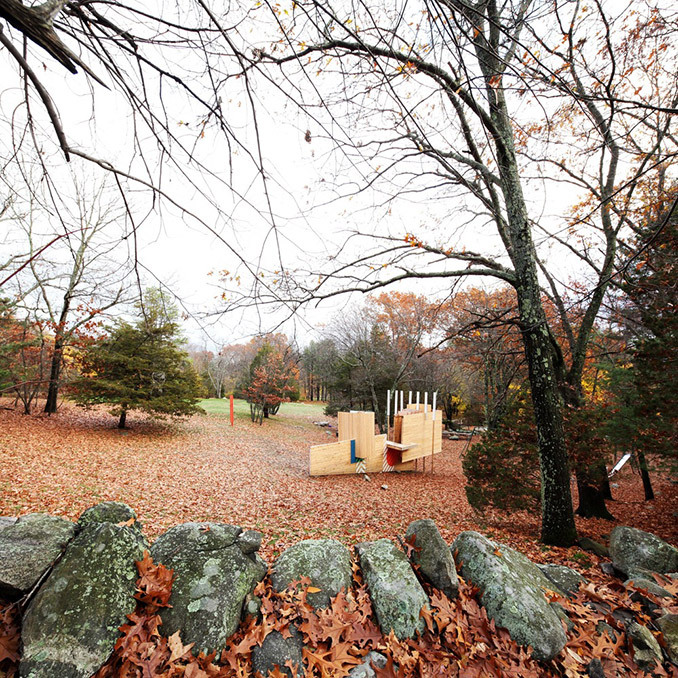 The Five Fields Play Structure can be seen as a learning opportunity, an experiment. 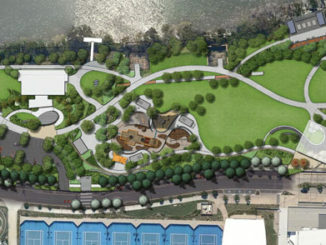 The play structure is both nod to and continuation of TAC’s emphasis on community sharing. This is a space celebrating the collective imagination, as a shared experience. 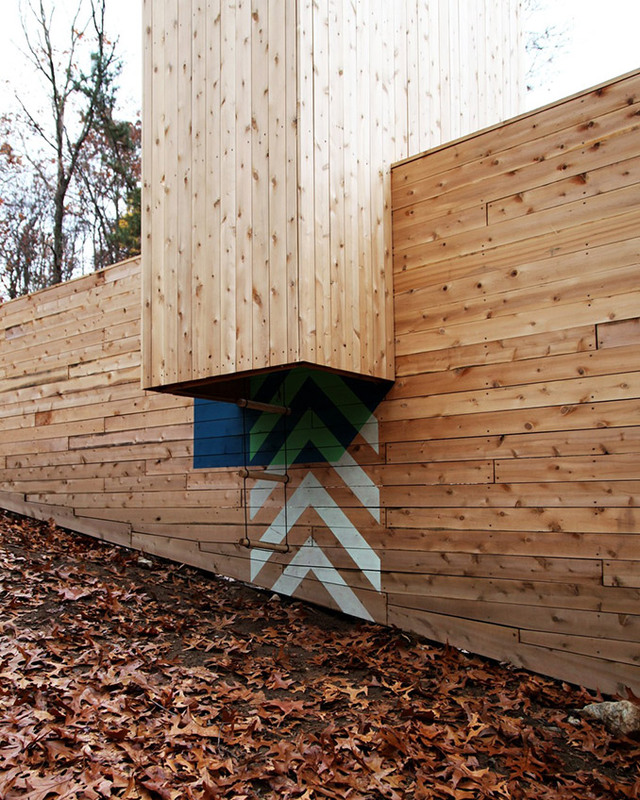 It seeks to reinforce the neighborhood’s relationship to the land and to each other. Continuing TAC’s heritage, the play structure is an experimental extension of pre-existing play equipment (which already include swings, slides, and a sandbox). This investigation in ambiguity and abstractness is not just a creative endeavor. It also serves to open the very playful imagination that it is designed for. 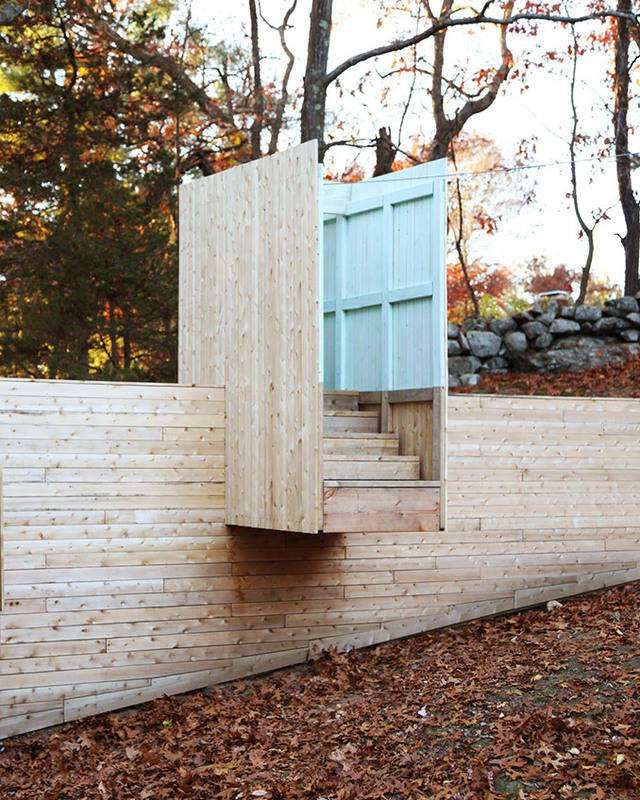 The intent is to not ask what the structure does, but how it imagines new possibilities. Matter Design & FR|SCH’s Five Fields Play Structure has received a 2017 AZ Award in the category Recreational Architecture.